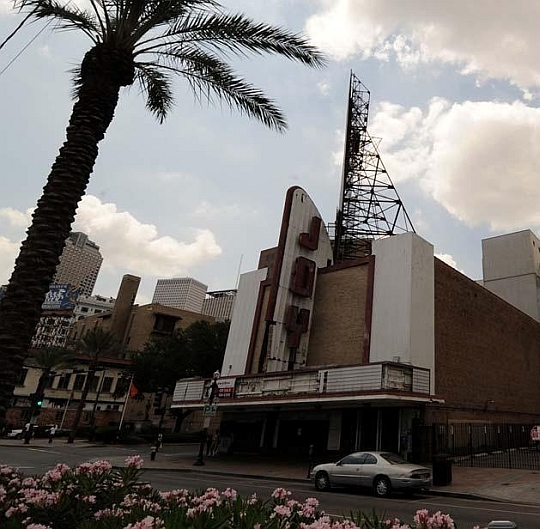 The Joy Theater, the newest of New Orleans’ downtown movie palaces, was for decades a beacon illuminating the intersection of Canal Street and Elk Place. From 1946 moviegoers enjoyed the latest Hollywood offerings, projected onto a huge single screen, from either ground-level or balcony seating. 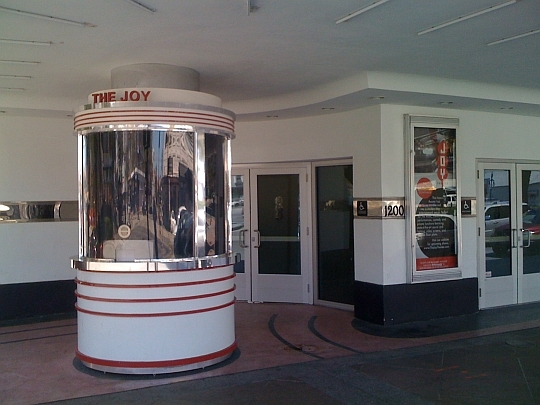 The Joy’s bold Moderne design, which made extravagant use of neon and floodlighting, exemplified the hopeful spirit of post-World War II New Orleans. The Joy’s heyday would last a brief fifteen years. 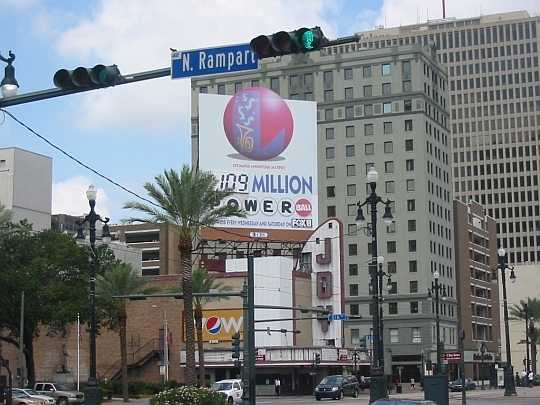 The decades following the theater’s completion witnessed a sea-change in moviegoing habits, both in New Orleans and around the country. Sustained disinvestment in urban downtowns was accompanied by the development of suburban multiplex theaters, television grew to dominate the entertainment landscape, and the single-screen movie palace became as obsolete as vaudeville. 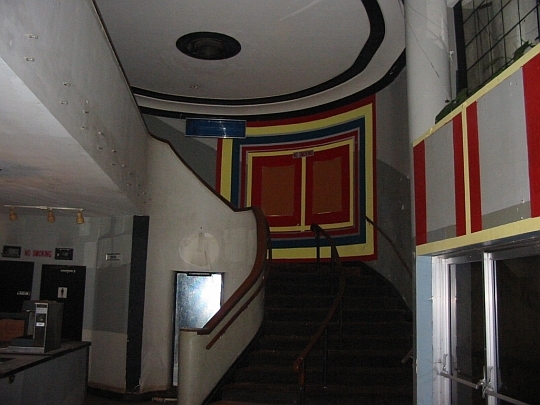 Despite these trying circumstances, the Joy Theater nonetheless persevered until finally closing in 2004, its Moderne-style beauty remaining essentially intact. 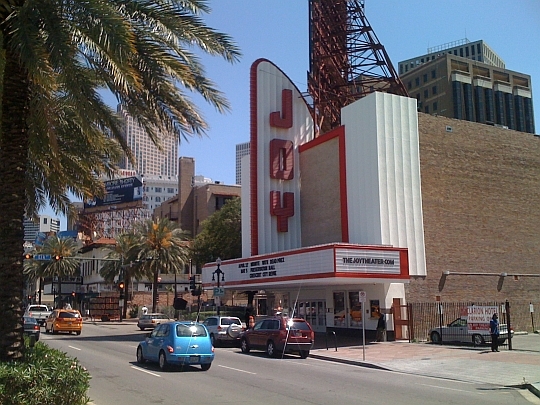 Though project sponsors concluded that the Joy was no longer viable as a movie theater, they perceived unmet market demand in New Orleans for a cutting-edge, versatile, medium-sized entertainment venue. 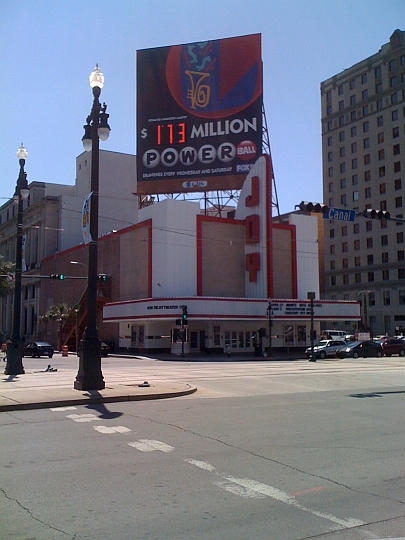 As an architecturally-arresting mecca for live music and special events – akin to the House of Blues but possessing superior amenities, increased programming flexibility and vastly greater levels of visitor comfort – a restored Joy would dramatically punctuate the reviving downtown theater district, complementing the touring show focus of the soon-to-reopen Saenger Theatre across Canal Street. Crescent Growth Capital was retained to model and close an intricate $5.0 million New Markets Tax Credit financing that leveraged state and federal historic tax credit equity, state Live Performance Infrastructure tax credit equity and state workforce credit proceeds to generate over $5 million in net subsidy to help realize this $12 million project. CGC and its consultants also successfully applied to the Louisiana Office of Community Development and secured $3 million of D-CDBG funds to close the project’s final financing gap.